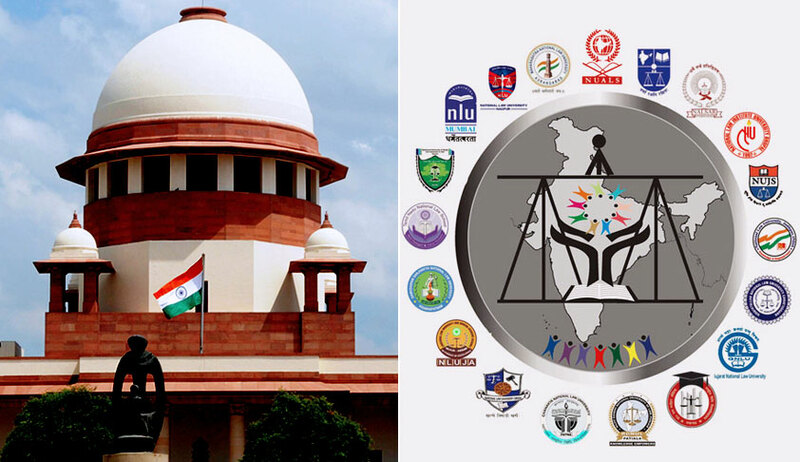 In affidavits filed in the Supreme Court in response to Prof. Shamnad Basheer’s petition for a permanent CLAT (Common Law Admission Test) body, both, the Bar Council of India (BCI) and the National Testing Agency (NTA) have staked claim to the conduct of CLAT. In its affidavit, BCI has claimed that conducting entrance examination for NLUs is its “prerogative”, relying on the Advocates Act, 1961. It claims that the legislation “has conferred upon the answering respondent the role of regulating Standards of Legal Education and to frame the Rules in this regard and also the power to inspect and recognize universities imparting legal education”. BCI then proposes to constitute a body of experts under the Chairmanship of a former judge of the Supreme Court to address the irregularities complained of in the conduct of CLAT. This committee, it says, would also comprise of at least two sitting chief justices of high courts, sitting and former judges of high courts, vice chancellors of NLUs, senior advocates, eminent jurists and members of various bar councils. It in fact goes on to assert that the responsibility to conduct an entrance exam for the LLB course lies exclusively with BCI and that the Union Ministry of Human Resource Development “has absolutely no concern with such matters”. BCI’s affidavit further highlights its “success” in conducting the All India Bar Examination (AIBE) since 2011. Despite the fact that AIBE is plagued with repeated delays, opacity, maladministration, questionable award of tenders and various other skirmishes, the affidavit claims that “there has been no complaint from any corner with regard to the fairness or impartiality of these exams”. Meanwhile, the NTA has also filed an affidavit, expressing its willingness to conduct the exam from the next academic session. It submits that for the academic session 2019-20 onwards, NTA has been entrusted with the responsibility to conduct the entrance examinations for admissions to premier higher educational institutions in India, including JEE (Mains), NEET-UG, CMAT and GPAT, in addition to conducting the assessment for grant of fellowship by UGC-NET. Significantly, it was just earlier this month that the Consortium of National Law Universities (NLUs) had finally decided to constitute a Permanent Secretariat for the conduct of CLAT at NLSIU. The Secretariat was then inaugurated last week by Chairman, Prof Faizan Mustafa (Vice-Chancellor of NALSAR, Hyderabad) and Vice-President, Prof V Vijayakumar (Vice-Chancellor, NLIU, Bhopal). It was further resolved that CLAT 2019 will be conducted offline, in view of the multiple technical glitches that have plagued the exam in the past.